Despite an increasing understanding of the pathology and genetics of non-Hodgkin lymphoma (NHL), global reports on variations in the incidence of NHL remain limited in their number and scope. To provide a situation analysis, national incidence estimates for NHL in 185 countries for the year 2018 were obtained from the GLOBOCAN database. 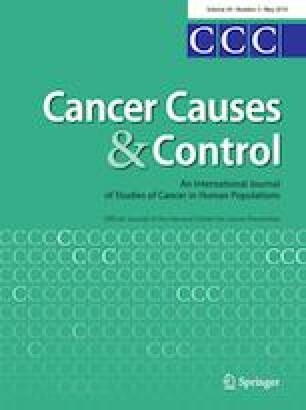 We also used recorded incidence data from Cancer Incidence in Five Continents (CI5) plus for years of diagnosis 1980–2012 to examine temporal trends. NHL ranked as the 5th to 9th most common cancer in most countries worldwide, with almost 510,000 new cases estimated in 2018. Observed incidence rates of NHL 2008–2012 varied markedly by world region: among males, rates were highest among Israel Jews [age-standardized (world) rate of 17.6 per 100,000), Australia (15.3), US whites (14.5), Canada (13.7), and Portugal (13.3)]. Where data were available, most populations exhibited stable or slightly increasing incidence rates; in North America, parts of Europe, and Oceania the rising incidence rates were generally observed until the 1990s, with a stabilization seen thereafter. Marked variations in NHL incidence rates remain in populations in each world region. Special attention should be given to further etiological research on the role of endemic infections and environmental exposures, particularly in Africa, Asia, and Latin America. To permit internationally comparable statistics, an equal focus on addressing the quality of hematological information in population-based registries is also warranted. The online version of this article ( https://doi.org/10.1007/s10552-019-01155-5) contains supplementary material, which is available to authorized users. The work reported here was undertaken by Dr. Miranda-Filho during the tenure of an IARC Postdoctoral Fellowship, partially supported by the European Commission FP7 Marie Curie—Actions—People—co-funding regional, national, and international programmes (COFUND). We would like to thank the Directors and staff of the population-based cancer registries worldwide who compiled and submitted their data for the CI5 and GLOBOCAN projects used in this paper.